Opened in 2011. Newly renovated in 2017. Room service, laundry service, wake-up calls, business center, tourism service, safe-deposit boxes at front desk, free parking, bus or car rental service, free Wi-Fi at lobby. 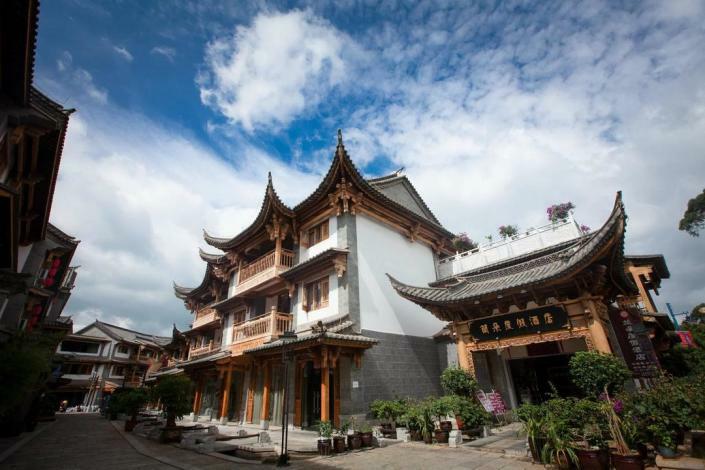 The Landuo Hotel (Landuo Dujia Jiudian) is a resort hotel located on the northeastern shore of the beautiful Dian Lake near the Yunnan Museum of Minority Nationalities. Kunming International Airport is a 40-minute drive from the property and Kunming Railway Station is a 20-minute drive away. Both Chinese and Western cuisines are served at this four-star Kunming hotel. Business travelers can make use of the business center and function rooms on the premises. Wi-Fi access is available in public areas. - 23.7 km to Golden Shrine.